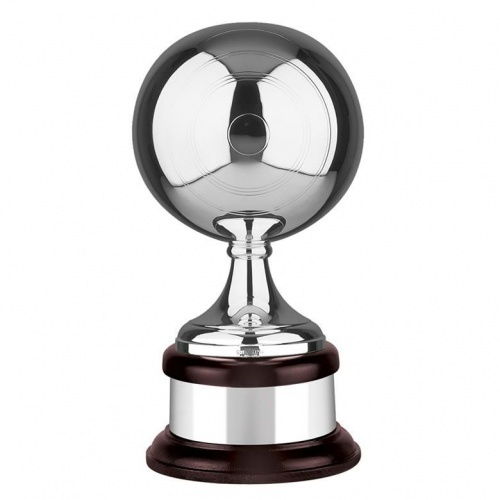 Bowling ball award from Awards Trophies Supplier .co.uk. Magnificent hand made bowling ball award suitable for prestige bowling awards. Supplied complete with solid mahogany plinth and silver plated plinthband.